Please book a place here. The feminist art historian Linda Nochlin passed away on 29 October 2017. Renowned for writing seminal texts such as the pioneering “Why have there been no Great Women artists?” (1971); Representing women (1999); The body in pieces: the fragment as a metaphor of modernity (2001), she was an influence and inspiration for generations of art historians, artists, writers and curators. On Wednesday 8th November at 5pm, some of those she has influenced will pay homage to the contribution that she made to art discourse by reading extracts from her work. 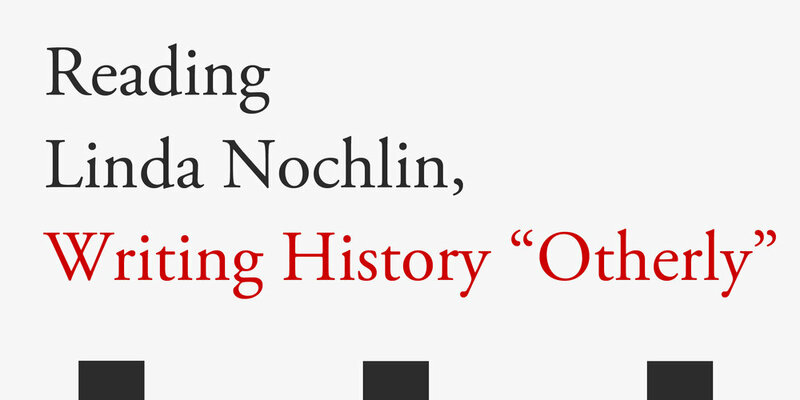 After the readings, there should be some time for discussion about Linda Nochlin's work between all of the attendees. Organised by Dr Tina Kinsella (IADT) and Dr Lisa Godson (NCAD).